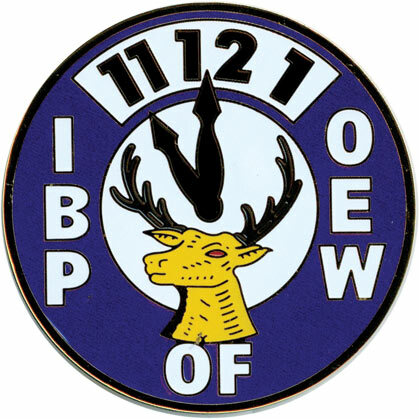 I.B.P.O.E.W. Clock Auto emblem with adhesive backing for attachment. Die struck emblem 3" diameter.